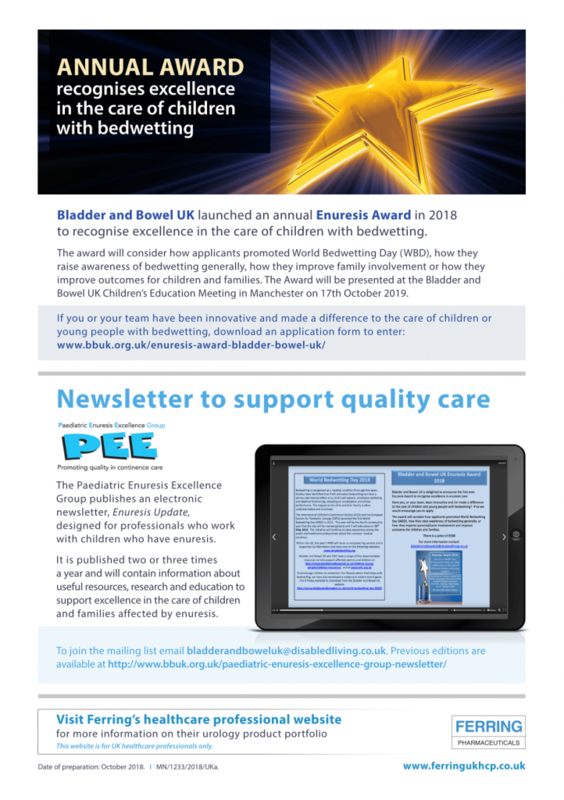 The aim of the award is simply to recognise excellence in enuresis care with a prize of £500! Have you, or your team, been innovative and made a difference to the care of children or young people with bedwetting? If so we would like to encourage you to apply for this award. The award will consider how applicants promoted World Bedwetting Day (WBD), how they raise awareness of bedwetting, or how they improve parental/carer involvement and improve outcomes. Please note, the deadline to apply for the award is Friday 26th July 2019. Applications received after the closing date will not be considered.